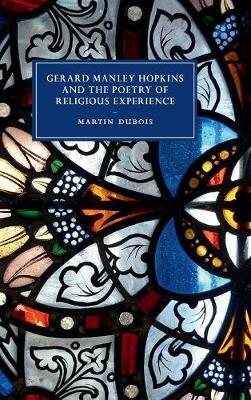 This nuanced yet accessible study is the first to examine the range of religious experience imagined in Hopkins's writing. By exploring the shifting way in which Hopkins imagines religious belief in individual history, Martin Dubois contests established views of his poetry as a unified project. Combining detailed close readings with extensive historical research, Dubois argues that the spiritual awareness manifest in Hopkins's poetry is varied and fluctuating, and that this is less a failure of his intellectual system than a sign of the experiential character of much of his poetry's thought. Individual chapters focus on biblical language and prayer, as well as on the spiritual ideal seen in the figures of the soldier and the martyr, and on Hopkins's ideas of death, judgement, heaven and hell. Offering fresh interpretations of the major poems, this volume reveals a more diverse and exploratory poet than has been recognised.